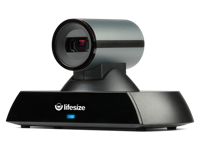 Built to enhance all the ways your team communicates, the Lifesize app and Lifesize Icon room systems enable your organisation with a powerful video conferencing solution. 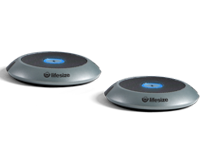 The intuitive Lifesize app delivers audio, video and web conferencing, chat, recording and live streaming – all from one platform. Built to enhance all the ways your team communicates, the Lifesize app and Lifesize Icon room systems enable your organisation with a powerful video conferencing solution. The intuitive Lifesize app is built to enhance all the ways your team communicates with audio, video, web conferencing, chat, recording and live streaming all from one platform. 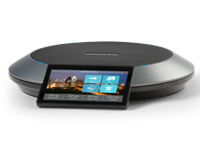 Perfect for small meeting rooms, the Icon 400 has a wide-angle lens and 70° field of view. With integrated camera and smart-framing sensor, the Icon 450 is the perfect solution for the huddle room. Ideal for larger meeting spaces, the Lifesize Icon 600 is designed for maximum simplicity, flexibility and value. 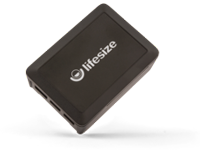 The new Lifesize Icon 700 delivers life-like 4K video, HD content sharing, superior sound & breathtaking zoom. Large all-hands and auditorium solution with support for multiple displays and third-party AV equipment. Passing cords and dongles between presenters is a thing of the past with truly wireless content sharing. The smartphone for your conference room with unrivaled audio quality and an intuitive touchscreen interface. Reduce ambient noise and extend the audio pickup range for even the largest conference room tables.